Your spa water should always look clear, bright and inviting. If, for any reason, it doesn't, it can usually be brought back to life with Spa Clarifier / Water Clarifier. This assists the efficient removal of small suspended particles, which in sufficient quantity will cloud the water. 3. Add 30ml per 1000 liters of spa water. 4. Wait 1 hour and repeat as necessary. You may find that once you have used the Spa Clarifier you may start to see foam appearing in your Hot Tub. This can be combated with our No Foam solution. 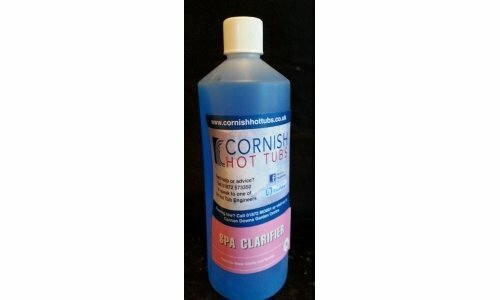 Cornish Hot Tubs is at Cornish Hot Tubs.